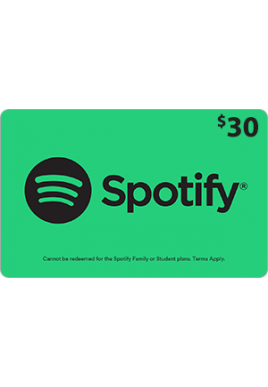 This PIN is redeemable for full price standalone Premium subscription months purchased directly from spotify.com only and cannot be redeemed for discounted or group subscriptions (more on eligibility at www.spotify.com/gift-card). This PIN cannot be redeemed for cash or credit and cannot be returned or resold (except where required by law). This is a single-use PIN: the full face-value for an individual account is deducted at redemption and no incremental redemption or credit is permitted. 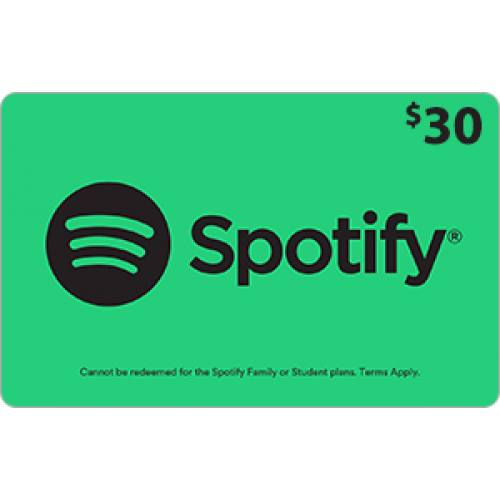 Spotify is not responsible for any loss or damage resulting from lost, stolen, or fraudulently obtained PINs or use without permission. Full Terms and Conditions governing Spotify gift PINs are found at www.spotify.com/gift-card. The Spotify Service is governed by the Spotify Terms and Conditions, which can be found at www.spotify.com/legal/end-user-agreement. This PIN is provided by Spotify USA Inc.